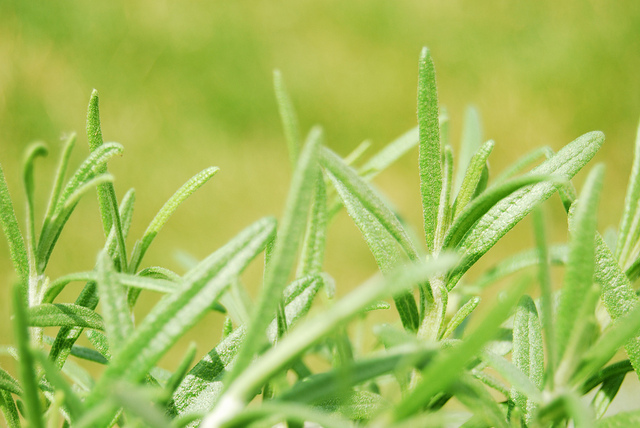 Rosemary is a great herb you can easily grow in your own home. It’s a fantastic plant anyone can make thrive, but there’s more. It can actually be used in many different ways so it’s not just a pretty herb to grow in your home. Rosemary can be used as a very effective and tasty spice for grilling. While it’s not its only practical use, it will sure add something special for your meals. You don’t have to grow rosemary solely for that, but it’s a nice bonus. Rosemary works as a great spice for grilling. In order to improve your next grilled meat dish, mix a bit of rosemary into it. The best thing about this is that rosemary stems are strong enough to act as skewers by themselves. They will add an amazing flavor to any grilled meat. In order to use this fantastic spice, you need to have plenty of rosemary. While you can buy rosemary, it’s even better to grow it on your own. This way, you will have plenty of rosemary to use. For the best spice, harvest 10 inch rosemary shoots from your garden. Make sure to skin off most of the leaves and soak them for about 30 minutes. Skewer the meats as usual. Rosemary will add a special flavor to your grilled meat. In case the point of the stem is not sharp enough, simply sharpen the leafless end with a knife or shears. Proceed with cooking just as you would with any regular skewers. This is a great trick to use for all meats and dishes that need to use skewers. While the wooden skewers are always good to use, why not opt for something more original? Rosemary can serve as natural skewers. It will not only hold the meat but it will add a special taste to your dish. In order for this to work, it’s important to use strong, long rosemary stems. This is yet another reason why you>should grow your own rosemary: homegrown herbs are stronger and fresher, so chances are that you will find excellent stems to use as skewers for your meals. Rosemary works great for any type of meat: lamb, chicken, beef, and more. You may even use it with shrimp and vegetables. You can easily grill with rosemary but you may also bake with it or use rosemary stems as raw dishes. This is a great way to add a bit of rosemary to your meals without having to mince or crush the plant.